A startup here in St. Louis is trying to marry the analytics of the web with the practice of addiction counseling and psychotherapy. In doing so, they are trying to bring the methods of Moneyball to improve therapeutic outcomes. It is an interesting idea, to be sure. The firm is called Takoda, and it is the work of several people: David Patterson Silver Wolf, an academic researcher; Ken Zheng, their business manager; Josh Fischer, their co-founder and CTO; and Jake Webb, their web developer. I spoke to Fischer who works full time for Bayer, and supports Takoda on his own time as they bootstrap the venture. “It is hard to put all the various pieces together in a single company, which is probably why no one else has tried to do this before,” he told me recently. The idea is to measure therapists based on patient performance during treatment, just like Moneyball measured runs delivered by each baseball player as their performance measurement. But unlike baseball, there is no single metric that everyone has created, certainly not as obvious as RBIs or homers. We are at a unique time in the healthcare industrial complex today. Everyone has multiple electronic health records that are stored in vast digital coffins; so named because this is where data usually goes to die. Even if we see mostly doctors in a single practice group, chances are our electronic medical records are stored in various data silos all over the place, without the ability to link them together in any meaningful fashion. On top of this, the vast majority of therapists have their own paper-based data coffins: file cabinets full of treatment notes that are rarely consulted again. Takoda is trying to open these repositories, without breaching any patient data privacy or HIPAA regulations. Part of the problem is that when someone seeks treatment, they don’t necessary learn how to get better or move beyond their addiction issues while they are in their therapist’s office. They have to do this on their own time, interacting with their families and friends, in their own communities and environment. Another part of the problem is in how we select a therapist to see for the first time. Often, we get a personal referral, or else we hear about a particular office practice. When we walk in the door, we are usually assigned a therapist based on who is “up” – meaning the next person who has the lightest caseload or who is free at that particular moment when a patient walks in the door. This is how many retail sales operations work. The sole design criterion was to evenly distribute leads and potential customers. That is a bad idea and I will get to why in a moment. Finally, the therapy industry uses two modalities that tend to make success difficult. One is that “good enough” is acceptable, rather than pursuing true excellence or curing a patient’s problem. When we seek medical care for something physically wrong with us, we can find the best surgeon, the best cardiologist, the best whatever. We look at their education, their experience, and so forth. Patients don’t have any way to do this when they seek counseling. The other issue is that therapists aren’t necessarily rewarded for excellence, and often practices let a lot of mediocre treatment slide. Both aren’t optimal, to be sure. So along comes Takoda, who is trying to change how care is delivered, how success is measured, and whether we can match the right therapists to the patients to have the best treatment outcomes. That is a tall order, to be sure. Takoda put together its analytics software and began building its product about a year ago. 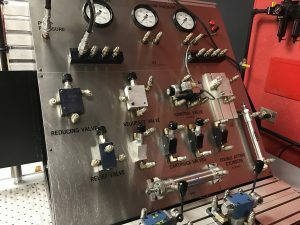 First they thought they could create something that is an add-on to the electronic health systems already in use, but quickly realized that wasn’t going to be possible. They decided to work with a local clinic here. The clinic agreed to be a proving ground for the technology and see if their methods work. They picked this clinic for geographic convenience (since the principals of the firm are also here in St. Louis) and because they already see numerous patients who are motivated to try to resolve their addiction issues. Also, the clinic accepts insurance payments. (Many therapists don’t deal with insurers at all.) They wanted insurers involved because many of them are moving in the direction of paying for therapy only if the provider can measure and show patient progress. While many insurers will pay for treatment, regardless of result, that is evolving. Finally, the company recognized that opioid abuse has slammed the therapy world, making treatment more difficult and challenging existing practices, so the industry is ripe for a change. Takoda recognizes that this is a niche market, but they had to start somewhere. “So we are going to reinvent this industry from the ground up,” said Fischer. So what does their system do? First off, it uses research to better match patients with therapists, rather than leave this to chance or the “ups” system that has been used for decades. Research has shown that matching gender and race between the two can help or hurt treatment outcomes, using very rough success measures. Second, it builds in some pretty clever stuff, such as using your smartphone to create geofences around potentially risky locations for each individual patient, and providing a warning signal to encourage the patient to steer clear of these locations. It is too early to tell if Takoda will succeed or not, but if they do, the potential benefits are clear. Just like in Moneyball, where a poorly-performing team won more games, they hope to see a transformation in the therapy world with a lot more patient “wins” too. firms and bleed them dry from the threat of patent infringement. A new documentary is out by Austin Meyer (shown here), who suffered from one troll purely because he uploaded his app to the Google Play store. The troll claimed his patent covered such activity, which is just utter nonsense. As shown in Meyer’s movie, almost all defendants settle patent cases to avoid the costs of discovery and a protracted legal battle. There are several thousand troll-based lawsuits filed annually, and the number is increasing. Sadly, what these trolls do is also perfectly legal. But what gets my goat is that the trolls don’t actually make anything: it isn’t like they have a competitive product line that they are trying to protect with their lawsuit. They are really just racketeers, extortion con men. Many of these firms, like Virnetx and Uniloc, are companies that you never heard of, and are getting rich from these troll payouts. For example, several years ago Virnetx beat Apple and now gets $300M a year in royalties because Facetime was claimed to infringe on secure network communications patents it held. That took years to work its way through the courts in eastern Texas. Wait a minute. Why Texas? Isn’t Apple’s HQ in California? Yes, but until recently, trolls could file wherever they pleased. Many of the patent cases are tried in eastern Texas, because the area’s court system is especially friendly to trolls. For example, in the small town of Marshall, Judge Rodney Gilstrap oversaw more than a quarter of the country’s patent cases in 2015, reports the Electronic Frontier Foundation. 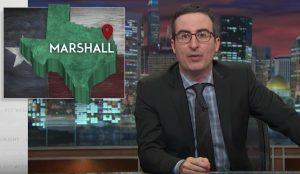 Marshall figures prominently in Meyer’s movie, where he takes us literally on a tour of the empty offices across the street from the county courthouse where these patent cases are tried. All these offices are quite representative of these shell companies that are the trolls. One delightful tidbit that he missed was that hotels in Marshall are so commonly frequented by lawyers that one even purchased a subscription to the electronic court-records system Pacer. You have in-room Wi-Fi, now there is in-room legal records search. How convenient. Earlier in May this year the US Supreme Court unanimously ruled that a defendant should only face patent litigation in the state where it’s incorporated, which for many tech businesses are either in California or Delaware. Meyer tells me that that hasn’t really stemmed the tide in Marshall, so probably that hotel will keep their in-room Pacer subscription. Not all trolls succeed. In one case, Uniloc was defeated when a group of gaming companies showed the flaws in their argument in a case that was decided by an internal review by the US Patent office earlier this year. Uniloc is one of the more notorious trolls, but this is a minor setback: they have a huge collection of judgements from other cases. Uniloc was who sued Meyer, btw. One of the issues mentioned in Meyer’s movie is how once the trolls identify a potential victim (not too small and not too large, so that the firm will be motivated to payout rather than fight), they are often hit repeatedly by other trolls. The typical lawsuit will cost several million dollars. Another issue: trolls sue people that use the patented idea, no matter how ridiculous the patent may be. Patent trolls isn’t a new topic, indeed there is another documentary by Lex Lybrand called The Trolls that came out last year that documents his experience, when his crowdfunded company was hit by a troll. And John Oliver did one of his HBO Last Week Tonight shows on patents a few years ago. (He illustrates his points with several great Shark Tank snippets.) Meyer is also featured on Oliver’s segment. Meyer has several suggestions for improving the patent process, and many of them have little hope of happening, thanks to trial lawyer lobbies and other market forces. But if you want to see how broken our patent system is, the movie is well worth your time. Meyer’s movie, The Patent Scam, is now available for a fee to download and soon will be on Netflix and other streaming services. If you are in tech, you know we as an industry aren’t very inclusive when it comes to the people working at our companies. The problem has gotten worse since I entered the work force back in the days when fire was first invented and the Steves worked out of their fabled garage: fewer women and minorities now work in tech. In the wake of the formerly celebrated bro-culture bad-boys that have either lost their jobs or have given forced social media apologies, even the general press has picked up on this meme. Witness the program this past weekend on Megyn Kelly’s Sunday Night, where she interviews six Silicon Valley women engineers and startup founders about their harassment by men. So it is nice to see some good news in this sector, care of a recent post about Atlassian’s practices. They are software company that has employees in Sydney, San Francisco and other cities around the world and employ 1,700 people. Over the past year, 18% of their tech hires and more than half of their engineers were women, up significantly from earlier years. Atlassian credits several things for their diversity. First and foremost is dropping the notion that they are a meritocracy, which is a mask that many Silicon Valley firms hide behind and use it to block inclusive practices. MIT research shows that managers at these companies perceive themselves as more impartial, and are therefore less self-aware and less likely to root out and bust their biases. To that effect, the post also mentions that the time to change is now, and the earlier in a company’s founding the better. “Getting a first woman on the team is a lot easier when there’s only three employees and they’re all men, as opposed to when there are 20 that are all men. Invest early. You’ll have to put in less effort over the life of your company when you do,” says Aubrey Blanche, the company’s head of diversity inclusion (shown here). The post mentions some tactics your firm should take to widen diversity, and includes following some key folks on your social media accounts (here is a handy Twitter list if you want to check some of them out yourself). Another idea: create a culture where feedback about how you’re doing in regard to inclusion is constant, embraced, and rewarded. Use Slack or other IM tools to directly ask your staff for feedback on a regular basis. Until your culture is inclusive and you are listening to your folks, you won’t be. Have meetings that are designed to let introverts excel: send out agendas in advance, ask people to prepare remarks, and engage your remote employees. There are a lot more tips in this blog post on how to encourage a more diverse workforce. Take some time to read them, and more importantly, act on them. Over the past several years, St. Louis has been recognized by a number of national publications as one of the fastest growing startup locations in the country. Having lived here for more than a decade, I have observed this first-hand, working as a volunteer mentor to dozens of new ventures as part of the IT Entrepreneur’s Network (ITEN). I had a chance recently to interview many of the founders of new companies and thought I would provide a few insights into why my adopted city has taken a leadership position in the startup world. One reason is certainly an expanding ecosystem to support entrepreneurs. There is a critical mass of mentors, potential founders, funders, and startup-oriented resources that continues to feed on itself. Ten years ago, there weren’t many organizations or resources for startups. That has changed dramatically. The coasts do offer some advantages, however. “Coastal investors are more comfortable with a SaaS model than their midwestern counterparts. But they also need you to be at a certain level of scale,” says Chris Deck, who has run his own ecommerce venture for almost 20 years. “The challenge to being in St. Louis is that the model to raise funds from the tech perspective is different, and you spend a lot of time talking about metrics that aren’t applicable to the SaaS business model.” Some startups have a hybrid hiring model, and ended up having salespeople based in the Bay Area just for this reason, but still have the remainder of their staff here. One way to track the growth of the ecosystem is in the number of co-working spaces around the region. When I first arrived, there were none, now there are at least 20 and new ones are popping up regularly. Most of the spaces are operating at near capacity, and what is more important than the number of offices is that many companies have outgrown their initial space and have moved into new offices, with some even buying their own buildings. Another is the sheer dollars that local funds are investing in startups. The amount has risen over the past several years, and while it isn’t at the level of a Austin, Boston, or Sand Hill Rd., it is enough to motivate many founders to relocate here for their business. One of the ITEN programs that I have been involved with is called Mock Angels. A founder pitches his business as if he or she were appearing before a group of VCs, and afterwards they comment on the pitch and what can be improved. The theory is that this helps refine the pitch so when a real VC is at the receiving end the founder will be prepared and get funding. This isn’t unique to St. Louis: they can be found in other places. But what is different is that the Mock Angels do more than just carp about the slide deck. What I have seen is that these meetings are a good jumping off point for many founders to receive intensive mentoring from the Angels: one startup ended up talking to 20 different mentors to get a better take on what to do next. St. Louis has really blossomed as a startup mecca. When I first got here, it was a rare week that had any startup-related event, and it was easy to attend most of them and get to know the community. Now there are numerous events each evening, a testimonial to how rich a community we have invented. You can check out the Tech Startup Report from ITEN here if you want to read more about ITEN’s services and the St. Louis tech startup scene. I am almost embarrassed to admit that I have lived in the Central West End neighborhood of St. Louis and never even known about one of the most vibrant college campuses around. 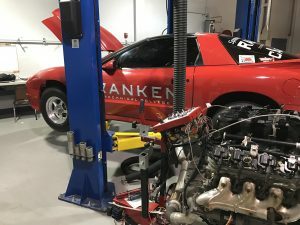 I refer to Ranken Technical College, a school that sits just a mile or so from my home and has been operating for more than a century. We used to refer to these sorts of places as vocational schools, as if they were less than a “real” college. But the tide of perception has turned. As I found out with my tour around campus from the schools’ president Stan Shoun, this is the real future of our city. 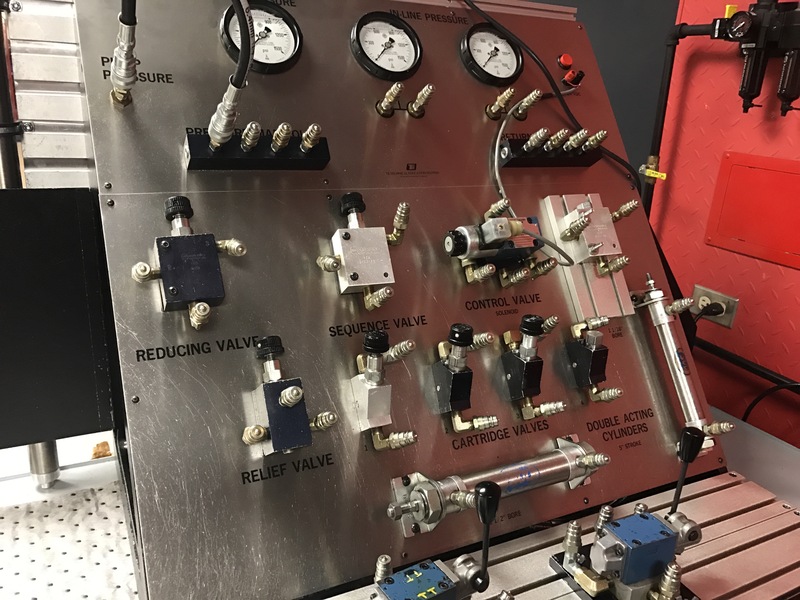 The private, non-profit school has more than a dozen different degree programs, spanning things like auto repair, architecture, carpentry, HVAC technology, IT, plumbing, and control systems. Each graduate gets on average five different job offers, and that is where you start to see the difference. Almost everyone is gainfully employed within six months, most getting paid more than $30k a year. The last job fair Ranken held had close to 400 companies recruiting their students, the largest such job fair in the state. That is the kind of college that I would want to go to! While the school has sat in the same place for more than a century, it is no ivory tower. It is strictly a hands-on place, with the latest equipment for the students to get trained on. 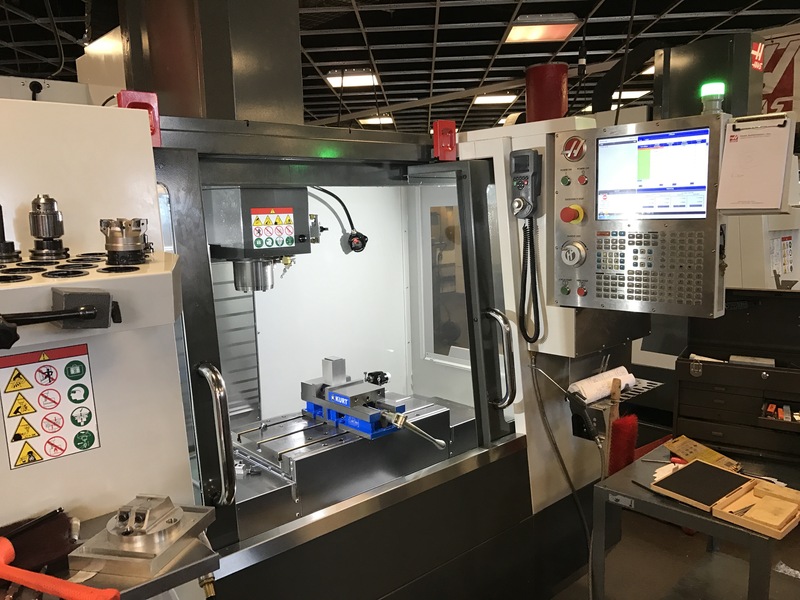 Students spent three hours in labs or in the various machine shops for every hour in the classroom. Car companies routinely drop off their latest models for the students to tear apart and put back together. Shoun makes a point of having his own personal car from whatever they have finished working on: his last car took 18 months to get street-legal again, after being totaled in an accident. The auto shop programs are the school’s largest: consider this was “new technology” back 100 years ago. One class works on tuning high-performance engines, as you can see in this photo. The IT class that I visited was a set of students that had taken their Cisco CCNA exams, which all but one had passed. There were other computer labs scattered around the 23-acre campus, some being used for classes teaching computer-controlled equipment such as you see here for this metalworking rig. They also learn on these custom workbenches that are built f or them: I have no idea what their purpose is, but it sure is impressive. To top it all off, over the years students have built more than 60 single-family homes that ring the campus. That is probably more new construction than anyplace else nearby of that type. The campus is also growing: Shoun intends to increase the student body over time, as demand for these kinds of skills continues to rise. 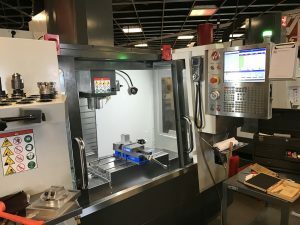 And he is opening new campuses too: Ranken has expanded to the western St. Louis suburbs to be a nearby GM plant, and another campus is opening about two hours south of the city near another auto parts facility. And to help keep tuition reasonable, Shoun also is acting CEO on more than a dozen different “microventures,” run by the students. These are real operating businesses that dovetail with the school’s programs: the students get real-world experience so when they graduate they already have some solid skills and abilities. That is really smart, not to mention effective. 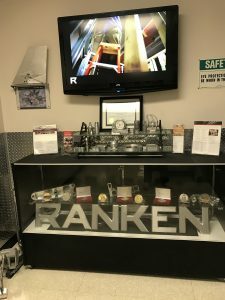 Given that many of these kinds of technical jobs are unfilled, Ranken clearly serves a need. I am glad that I stumbled across the place and got to see it first hand. If you would like a tour, I can set you up. You will see the future of St. Louis quite clearly as you walk around their campus. I was at a conference last week where everyone was doing some interesting things with blockchain technology. This is the not-so-secret sauce behind Bitcoin: a transaction log that is verifiable and can be synchronized across distributed servers and still handle multiple trust relationships, where chargebacks can’t happen and where the crypto is strong enough to have banks and other financial institutions spending millions of dollars supporting dozens of startups. I have written before about blockchain tech for IBM’s SecurityIntelligence blog here, but what got me interested about the conference was how practical blockchain implementations have been and will be. This is especially true in changes to the world of supply chains, where goods move across the globe under a variety of incomplete and error-prone tracking circumstances. Indeed, at the conference I saw lots of blockchain apps that related to supply chains and had almost nothing to do with cryptocurrencies. This is an industry that is ripe for change. As one analyst has written, many supply chains have data quality issues and automation has failed to deliver significant productivity gains. That could change with these new apps. For example, there is a company called Everledger.io. The idea is to attach a unique digital signature to each and every diamond that is traded on the various international exchanges. This signature can be immediately verified with the actual item itself – like the way a checksum can be used to verify if a digital file has been altered – to ensure that the diamond hasn’t been tampered with or substituted. So far they have been able to track close to a million diamonds in this fashion. According to insurers, about seven percent of the world’s diamonds are fraudulent in one way or another. Last fall, data from the Gemological Institute of America, the main diamond industry certification body was altered by hackers. We are still in early days, but you can see there are lots of other applications to help detect when counterfeit goods enter a supply chain that are ripe for blockchain applications. Sending prescription drugs around the world is another high-value application that several teams are working on blockchain apps. One FedEx manager was on a panel where they spoke about how they need new technology for managing their supply chain. “The immutability of the transaction is important for us: are you who you say you are, and are you shipping what you say you are shipping?” They spend a lot on insurance and it would be nice if they could leverage blockchain tech to prove that a package actually did make it to the final destination, with something other than an illegible signature. While they can track a package from when it leaves your door through their shipment network, that only works if they have control over the shipment from end-to-end. That isn’t always the case, and especially internationally where it can be more cost-effective if they can hand off a package to another shipper. The panel also brought up an interesting question, as to what constitutes a delivery address, with one of them holding up his phone, saying how he wants to be able to deliver something right to where he is at the moment. That has a lot of appeal to me, as I recall how many hours I have spent trying to find a package delivery person when I stepped out of my office for a moment. The conference started off with a speech from Brian Behlendorf, who is now in charge of the hyperledger project that is part of the Linux Foundation. He has been around the tech industry for a long time, putting up Wired magazine’s early website and developing numerous open source projects. The idea behind hyperledger is to have an open source project that can be used in a number of blockchain circumstances. Think of what the Apache programmers did for web servers back decades ago: the same thing will be attempted with having a set of protocols and standard infrastructure to build blockchain apps on top of with hyperledger. Before the conference took place, a pre-conference hackathon was held and more than a dozen teams and 50 people participated to win the top prize of $20k. The winners included college students, which should give you an idea of how quickly blockchain is evolving. Unlike many hackathons where the winners get to pose with an oversize check, in this case the winning teams’ prize money was preloaded in bitcoin on a special cryptokey, which was quite fitting. The first place finishers wrote an app to eliminate ID fraud, using blockchain to encrypt and validate who you actually are. Blockchain isn’t just all about the supply chain: the banks are getting involved too. A private effort from R3 has more than 40 financial services supporters to try to create standards for distributed ledgers. Barclays has more than 45 Bitcoin-related projects. Deloitte has a group based in Toronto doing cryptocurrency and blockchain consulting. A Berlin neighborhood has dozens of retailers who accept bitcoins. Finally, there are other currencies that are gaining traction, including Ethereum and Dash.org, that attempt to improve upon the original bitcoin specifications and further fueling blockchain interest. It looks like there will lots of blockchain-related news in the coming months. Oh no, not another startup business strategy book! But Sean Ammirati’s debut, The Science of Growth, is a meaty and useful manual for any entrepreneur that is looking to grow their business and learn from the mistakes and triumphs of the past. Ammirati and I worked together several years ago at ReadWrite.com, and now he is a Pittsburgh-based VC and business professor at Carnegie Mellon University. He offers plenty of wisdom here. Many business books don’t have much to say after you have read their first chapter. The Science of Growth has a lot of useful takeaways, including exploding the myths of the first mover and always having a big launch event. He also explains why the best technology or getting the most VC funding doesn’t always make a company successful. The book takes pairs of companies and looks at why Facebook, Google and McDonalds succeeded while Friendster, Yahoo and White Castle didn’t. 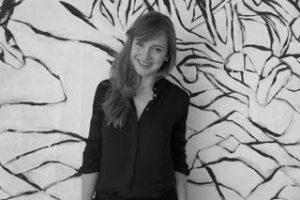 Ammirati delves into four key prerequisites for growing your business: the founders should share a core vision, the basic idea should be scalable, it should solve a real problem and provide a solid first interaction. He then compares a set of ten paired companies to show how they differ. For example, Facebook was later to the market and took longer to grow its first million customers than Friendster but had a more focused approach and created a better initial experience for its customers. McDonald borrowed money to finance its growth while White Castle didn’t. Google had a clean home page while Yahoo’s was cluttered with categories. WordPress was easier to install than Movable Type to get started with blogging. And so forth. The book catalogs some major movements that were critical to companies’ growth. Twitter is largely credited with launching at the 2007 SXSW show, but it used clever marketing to bring attention to its then seven-month old product by paying for video monitors that it placed in the hallways to attract conference goers. Airbnb got a boost when Denver residents listed their spare rooms for Democrats who wanted to come there to hear Obama’s 2008 convention speech. WordPress took advantage of the moment in 2004 when Movable Type started charging for its blogging software. For those who want to learn from the mistakes of the past so their businesses can find future growth, this is essential reading. It is ironic that I found myself enjoying “A Faster Horse,” a recent movie about the making of the 2015 model Ford Mustang directed by David Gelb. I am not a car person: I view a car as basic transportation and not a statement about my lifestyle or whatever. But the movie shows how hard it is for businesspeople to collaborate on complex projects, such as designing a completely new version of the classic American muscle car that has sold more than nine million units over its 50 year tenure. Too often those of us deeply steeped in high tech forget that the industrial revolution happened many years ago and people were collaborating without emails, Sharepoint, the Internet, or What’s App. While the folks at Ford have all of those tools and more, what is interesting is Gelb’s perspective on how the various work teams had to pull off this major redesign. You see the early sketches on paper, computer modeling, clay models and then the various factory pieces coming together with the 2015 Mustangs ready to sell last fall. Speaking of car sales, wanna guess how much that first 1965 Mustang went on sale for? The answer is at the end of this post. There were several scenes in the film that were my favorites. One is a meeting to deal with a crisis: the drivetrain parts are off by one millimeter, and this gap is making the car not very reliable and not very drivable. The team gets together for a meeting to try to close the gap: meanwhile the production line is stalled until the work around can be implemented. This is collaboration at its best. What is amazing is how this small a gap could have torpedoed the entire project. There are lots of meetings around the speakerphone as the engineering team tries to figure out ways to shave weight and increase fuel economy, all while adding styling and new features to the 2015 model. They are actually pretty interesting, even for this non-car guy. Again, it is all about working together to solve the particular problem. At one point, one of the engineers isn’t happy that some issue would have been fixed by spending $1.34 per car. This doesn’t seem like a big deal, until you realize that Ford will be making hundreds of thousands of Mustangs, and this $1.34 increase is taking a lot of profit off the table down the road. My favorite other scenes are about this father-daughter team Rich and 13-year old Amy Hansen. Over the past four years, the two worked on renovating a classic 1971 Mustang (pictured above) and have it finished just in time to drive it across country to the new Mustang launch party in North Carolina. I was jealous of them not because they produced a beautiful car, but because the kid really knows her stuff and was deep into the project. Again, this is another useful note on collaboration. 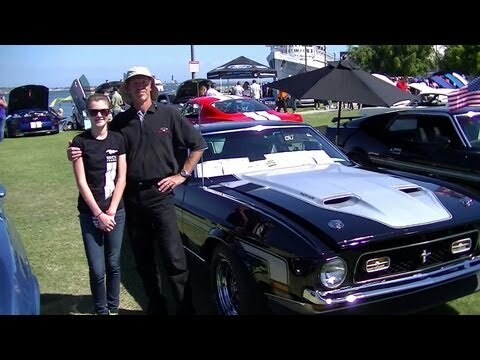 Certainly, there are many dads of teens that wouldn’t even consider working with their daughters on classic cars. Now this kid has some solid skills even if she just uses them to change a tire and oil. If your startup is going to host a movie night, consider this flick. It shows you what is needed to pull together and produce a great project, even if it is a car. By the way, that 1965 Mustang sold for somewhere around $2,750. The restored classic cars are now going for $30,000 or more in good condition. Even accounting for 50 years’ worth of inflation that is a pretty good investment. Time to outsource your R&D to entrepreneurs! I was at an interesting panel discussion last week where I first heard a very radical idea: your business needs to outsource its research and development department, and the best place to do so is with your local startup community. 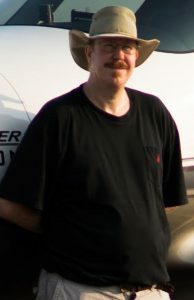 The person saying this was the chief operating officer of his company. I will tell you who in just a moment. The notion makes a lot of sense. Spending on R&D isn’t cheap: Google spends $8 million a year, and Microsoft about $10 billion, both a little bit more than 10% of their revenues. Car and drug companies are also big spenders. These companies, along with IBM and Intel, generate a lot of intellectual property from this R&D, and a lot of innovative products and services. But not everyone can be an IBM or a Microsoft and have the funds to pay for original research. That is where your local startup ecosystem can come in handy. Almost every city in the world has some sort of startup incubator, a co-working space, a shared lab or some other facility that is a gathering place for entrepreneurs. In St. Louis, we are blessed with many of these outfits, in fact so many that I still haven’t visited all of them yet. That is a Good Thing. 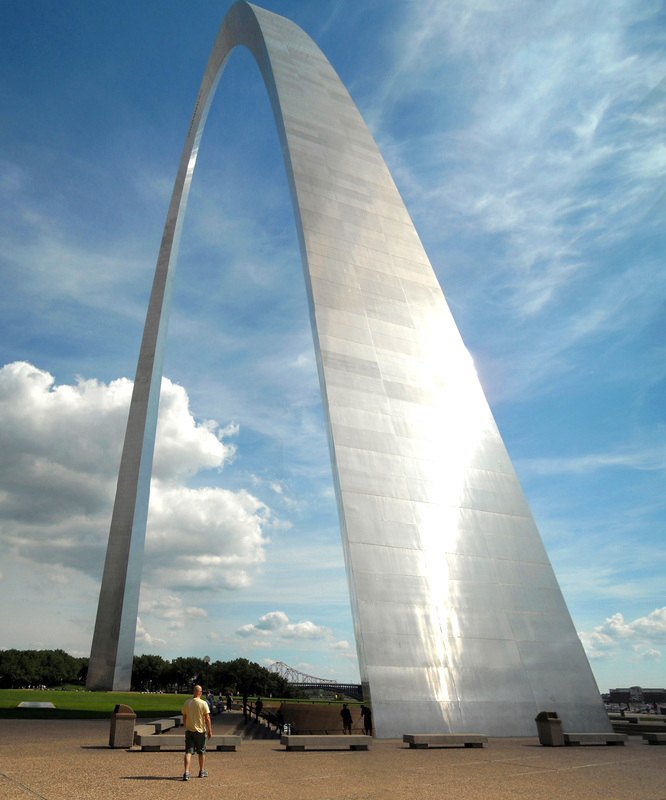 We are also blessed in St. Louis with a lot of laid-off talent, particularly in bioscience and IT. That sounds odd saying it like that, but when you have a big company like a Pfizer or Anheuser Busch that lets go of several hundred folks, it can be the best thing for your startup community. These people don’t necessarily want to leave town and move their families across country. If they have an idea for a startup, they tend to bring together more folks and create more jobs. So it isn’t just the real estate, but having the talent pool too. Okay, back to my COO that I quoted above. His name is Kevin Demoff and he works for the St. Louis Rams football team. Yes, football. Not the kind of cutting-edge business that comes to mind when we are talking about R&D. One of our startup communities here in St. Louis is called Stadia Ventures, a sports-related accelerator that leverages our city’s sports-crazy universe. Demoff was quite candid about how little the Rams have spent in past years on R&D, and how the NFL is more of a follower than a leader when it comes to implementing new ideas. “It is more likely that the league is going to copy something that we or some other team does than to actually help with innovation,” he said at a Stadia panel session last week. “That is why we have to support the local entrepreneurs and be a part of the startup culture.” It was a very insightful thing to say. There have been plenty of articles written about how to form a startup company, but not as much as been written about when you need to ask for help for an ailing startup, when it might be near the end of its life. The average startup doesn’t tend to live very long: many expire after a year or two, succumbing to a variety of diseases. Certainly, the biggest reason is running out of money. This is why most startups fail, because they are under-funded, or over-estimate their market size, or under-estimate the time it will take them to go to market, or they spend money in the wrong places. But there are a lot of other warning signs before you get to the end of the line and I will offer a few ways that you can cure these illnesses. When a founder takes a “real” job to bring in money to support his/her family. I have mentored many startups where this sadly happens. It usually means the beginning of a death spiral, because the founder has to take his or her eye off the startup and devote less time to its growth and operations. Cure: Make sure you have enough savings and early revenues to sustain your business for an extra six to nine months beyond where you initially estimate. When a venture has to cancel its outsourcing programming project because of one reason or another. Maybe the programmers didn’t deliver the goods, or maybe there was a lack of communication between the founder and the tech team. Or maybe the outsourcer got a better offer, or is just incompetent. Whatever the reason, having bad tech is often a fatal disease. Cure: vet your programming team carefully, and set up specific milestones that they need to meet. When founders are paying themselves too much in salary. Most founders shouldn’t be working for a startup for the money: they should be pumping as much of their revenues back into the business. If they are too comfortable, the startup is likely to fail. Cure: don’t be tempted, keep your own salary lower than anyone else on staff. Pivots can be good, but too many pivots are not. The trendy term refers to a radical change in direction, whether that is product design, market focus, or some other major decision. Certainly, one great aspect about startups is that they should change their focus when they learn more about the market they intend to serve. Cure: too many pivots can waste a lot of resources, time, and energy. Choose a pivot when you have exhausted all other options. Likewise, having mentors and advisors are good, but not listening to them can often prove fatal. Many times I have been in a mentoring session where the founder isn’t paying attention, or getting advice that she or he doesn’t really want to hear. Cure: founders need to develop their listening skills, and understand when they are going down the wrong path. Developing more than one business concurrently. Oftentimes I have seen startups that are really entering more than one business. And while it is great to have lots of ideas and be innovative, you really only have time to work on one business at a time. Cure: stick to your knitting! Moving back home to save on office expenses. Just like boomerang twenty-somethings that have to return home, this move is often an indication of a larger problem. And while it is great that you can drop the office expense, having to meet around your kitchen table or a local coffee shop can make it difficult to get any actual work done. Cure: this is a last-ditch effort, and often there isn’t any cure. The opposite is also a sign, when a founder has to leave town to live in Silicon Valley or some other major metro area. While the amount of venture capital available on the coasts is important, it can take the founder out of running the day-to-day business too. The balance is important.